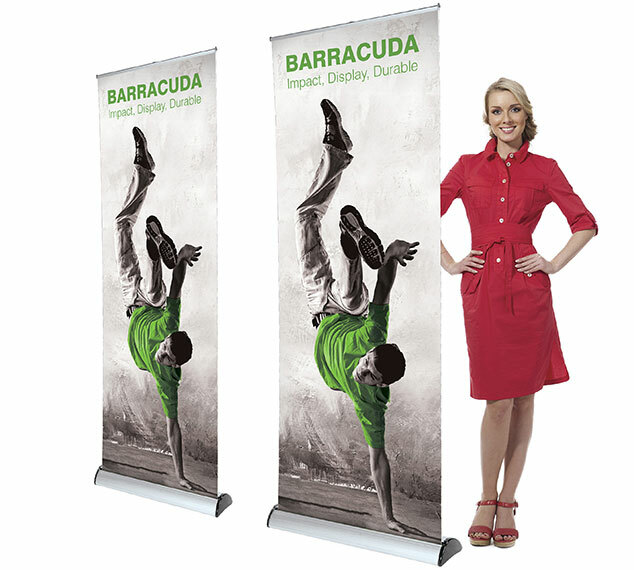 Barracuda Roller Banners are a very popular, strong and stylish banner that has proven to be a reliable choice for regular use. 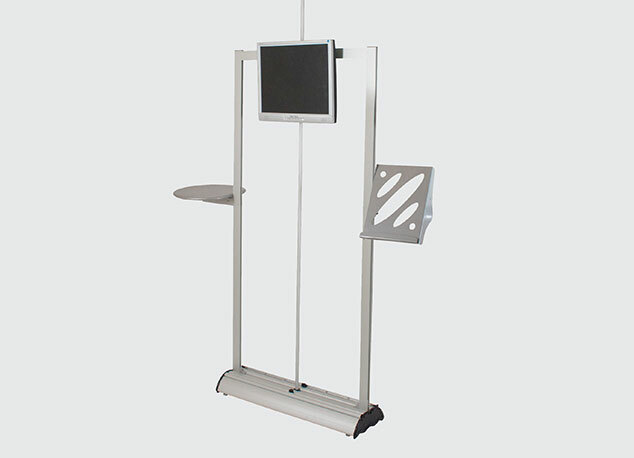 They are ideal for simply displays or exhibitions and allow you to position your graphics to the height you require with the adjustable telescopic pole. 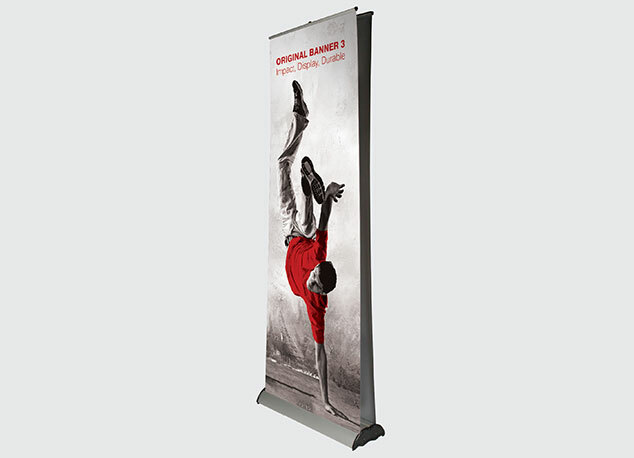 The Original Banner 3 is designed and manufactured in the UK and is one of the most versatile banners available, making it ideal for a multitude of display applications. Offering a visual graphic area up to 2145mm (h) x 2000mm (w) on both sides; it represents one of the most cost-effective large format displays on the market and yet still stays truly portable whilst offering maximum impact. Please remember to add 300mm to the bottom of your visual graphic area in your artwork. This is for the non-visible area in the roller banner mechanism. 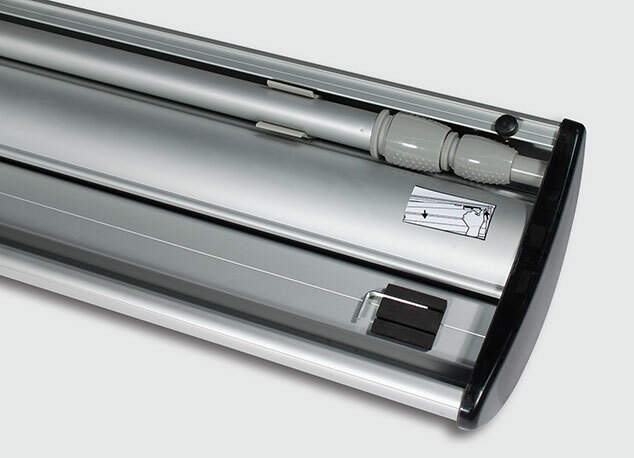 This 300mm area attaches your graphic to the mechanism. To supply print ready files please set your artwork up to the visual graphic area and then add 300mm clear area to the bottom, 10mm bleed to all edges and crop marks. Supply the file to us as a hi-res pdf with all fonts embedded or outlined and the colours set to CMYK. Images need to be 72dpi minimum in the artwork when at 100% size to ensure the best quality images are printed. 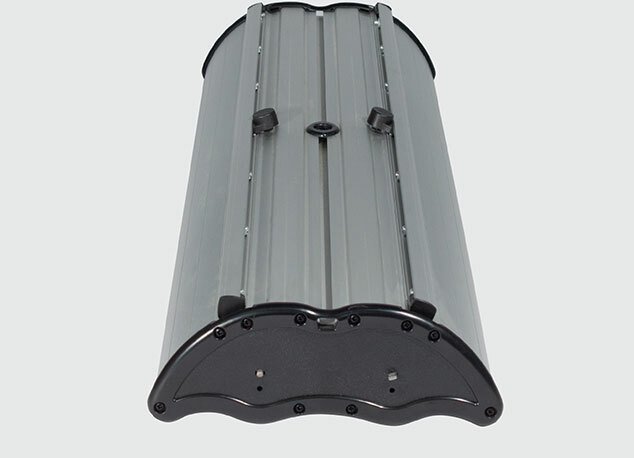 Quick-change external slide-in leader system for base graphic attachment fabricated from a unique robust extrusion PVC component. 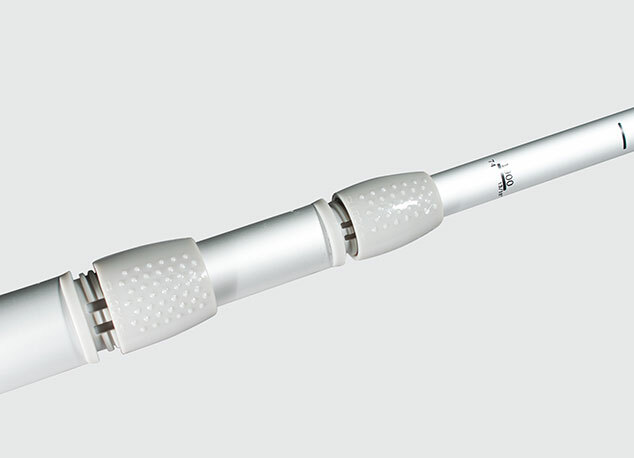 Adjustable telescopic pole providing a variable height from 840mm-2130mm. 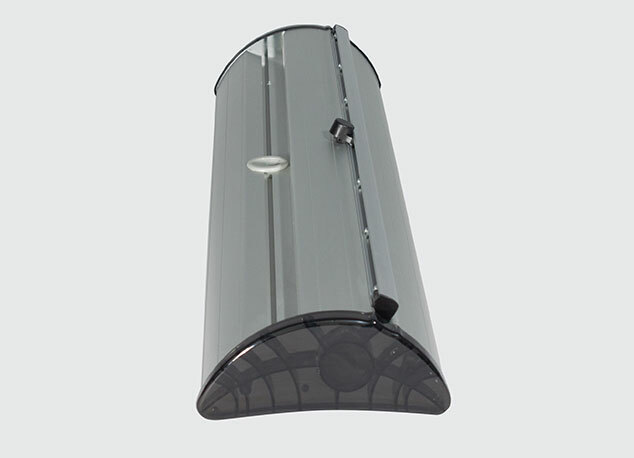 Clever telescopic pole storage under base of mechanism allows for easy assembly and ensures your pole never goes missing. 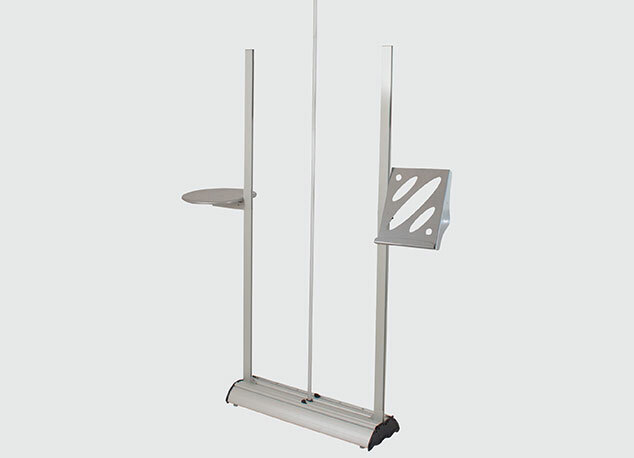 To allow you to stabilise your banner on uneven ground. A strong and stylish design which is proven as a reliable banner. 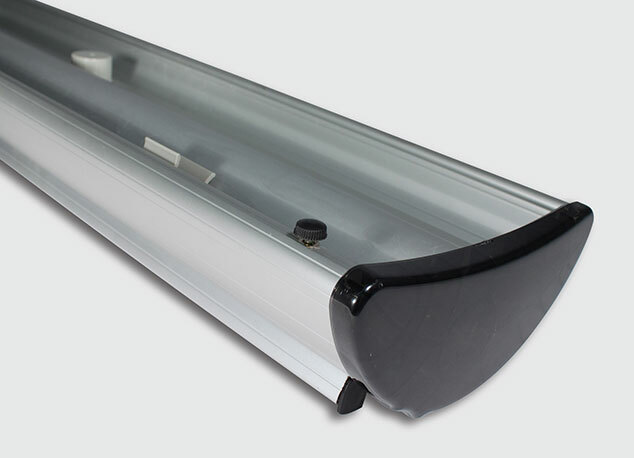 Premium Banner Accessories are a great way to enhance your banner with a choice of optional extras including a shelf, literature holder and LCD TV monitor bracket. These accessory kits fit smoothly into the channel on the base of the mechanism. Please note Not including LCD TV. 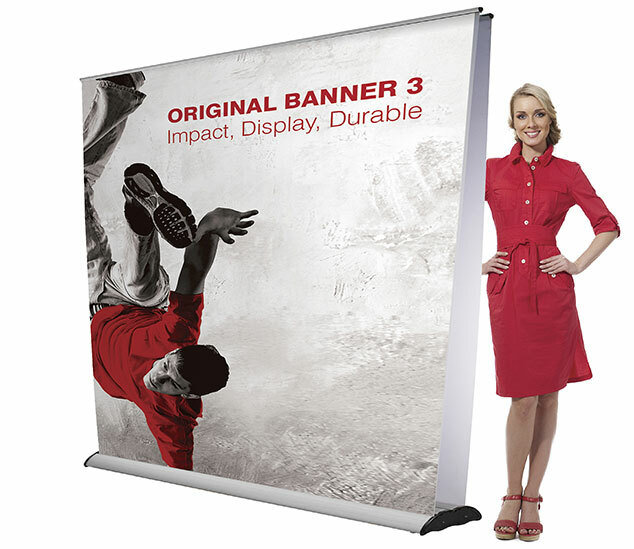 Graphics can be rolled up on one or both sides of Original Banner 3 thanks to the versatile base. Premium Banner Accessories are a great way to enhance your banner with a choice of optional extras including a shelf and literature holder. These accessory kits fit smoothly into the channel on the base of the mechanism.